This Lang Wheel Stud Thread Restorer Kit 7 piece set will repair or renew damaged threads on wheel studs. Packaged in a plastic blow molded case for protection and easy use. For quick, on-the-job repairs of damaged threads on bolts and studs. Lang Wheel Stud Thread Restorer Kit can chase out damaged threads and remove nicks and burrs without undercutting good threads. Lang Rethreading dies are highly tempered for strength and durability, and are 6-pt. shaped for use with socket or wrench. Lang Wheel Stud Thread Restorer Kit dies are color-coded for quick visual identification. Use with standard wrench and light oil. Never use Lang Thread Restorers to cut new threads or to renew hardened threads. Lang SAE and Metric Thread Restorer 48 Piece Kit. Contains 7 coarse and 7 fine SAE dies, 10 metric dies, 6 coarse and 6 fine SAE taps, 10 metric taps, and one SAE and one metric rethread file. Lang M10 x M14 Spark Plug Thread Chaser. Services all major vehicle platforms using 10mm and 14mm spark plugs. Lang M14 x M18 Spark Plug Thread Chaser. Services all major vehicle platforms using 14mm and 18mm spark plugs. Lang Thread Restorer Tap And Die 26 Piece Set. 7 SAE Coarse Dies, 7 SAE Fine Dies, 6 SAE Fine Taps, 6 SAE Fine Taps. Lang Metric Thread Restorer 15 Piece Set. Contains 7 Metric Rethread Dies, 7 Metric Rethread Taps, and 1 Metric Restorer File. Lang M12 Spark Plug Thread Restorer. Used to clean up dirty or damaged spark plug threads on Harley- Davidson® Twin Cam®, V-Rod® and other Sportster® models. Lang M18 O2 Sensor Thread Restorer. Services all major vehicle platforms using 10mm oxygen sensor. Lang M14 Single End Spark Plug Chaser. Designed with long neck to accommodate extra deep spark plug cavities. The 2583 Lang Wheel Stud Thread Restorer 7 Piece Kit is one of thousands of quality tooling products available from MRO Tools. 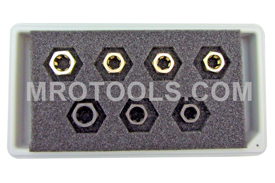 Please browse Lang Thread Restorers for tools similar to the 2583 Lang Wheel Stud Thread Restorer 7 Piece Kit. 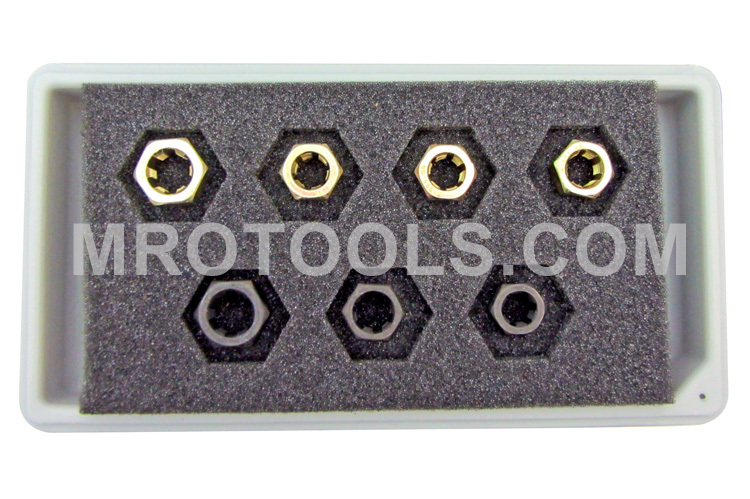 2583 Lang Wheel Stud Thread Restorer 7 Piece Kit description summary: Lang Wheel Stud Thread Restorer 7-piece Kit. Sizes: 7/16''-20, 1/2''-20, 9/16''-18, M12-1.25, M12-1.50, M12-1.75, M14-1.50 Quantity discounts may be available for the 2583 Lang Wheel Stud Thread Restorer 7 Piece Kit. Please contact MRO Tools for details.